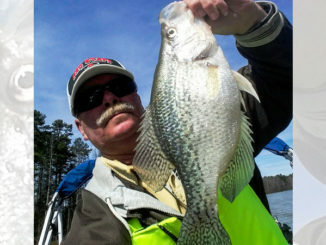 Deep holes in big, open-water areas of Lake Wateree hold bream before they move up in May. 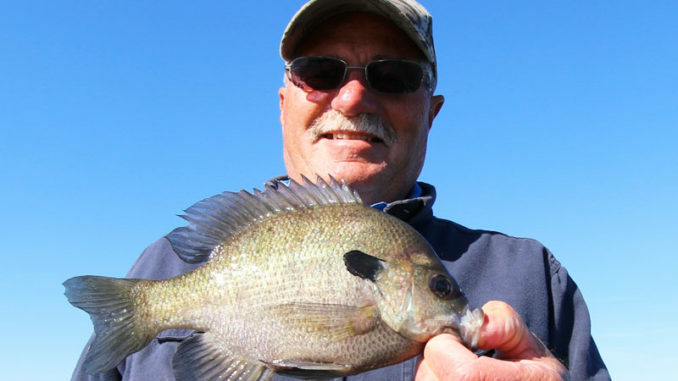 Most anglers in the Carolinas are waiting until next month’s full moon to get after bluegills. April can be a tough month for them, unless you know where to find them. And Jackson Bailey of Rembert, S.C., has a spot that never fails him in the early spring. Bailey found this Lake Wateree honey hole by accident about 15 years ago, and he said it continues to produce for him this time every year. The trick is going deep. Bailey fishes out of a pontoon boat with what he calls “probably the first fish finder ever made,” and the only reliable function is the depth reader. Thinking that first bluegill was a fluke, Bailey put another whole night crawler onto his hook and made another cast. A minute later, he pulled another bluegill up. “I caught about a dozen in that hole, then I pulled up anchor and looked around for more deep holes. I blanked on a couple of spots, but I caught my share out of a couple of others. On that first trip, I was using a Carolina rig with a 1-ounce egg sinker because I was targeting catfish. 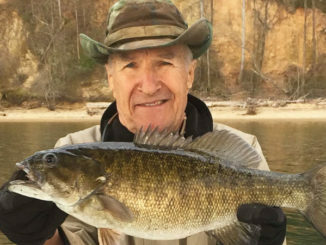 But now I use a 1/2-ounce sinker above a swivel, then about an 18-inch leader of 6-pound mono. I’ve tried even less weight than that, but it takes so long to get down and if the dam is drawing any current, it will never reach bottom,” he said. Bailey alternates between using a whole night crawler on a No. 4 Tru-Turn hook and using just a small piece of worm. He lets the fish decide what he’ll stick with.